Voted the second-best place to live by USA Today in 2014, the vibrant city of Bellevue on the shores of Lake Washington has experienced rapid growth since the 1980s. 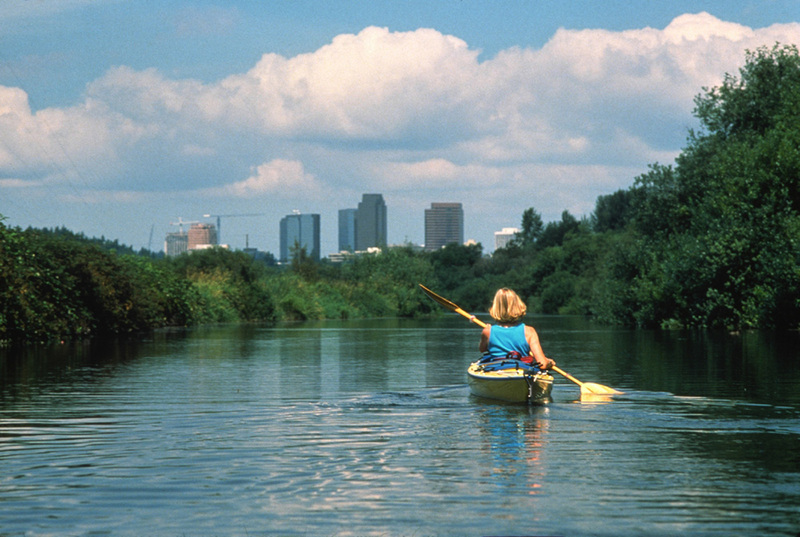 Mercer Slough, an open wetland in what is today the heart of the city, has long been coveted by both developers and local conservationists. With support from community members and city officials, The Trust for Public Land helped protect 100 acres of Mercer Slough for the parks department as an addition to an urban wetland park. Visitors can now enjoy more than 320 acres, featuring canoe access and more than seven miles of boardwalks and interconnected trails.